A Berlin doctor, relegated to a clinic in the East German countryside, plots her escape to the West. Barbara is a film directed by Christian Petzold, co-written with Harun Farocki. It premiered in competition at the 2012 Berlin International Film Festival, where Petzold was awarded the Silver Bear for Best Director. It is Germany's official submission to the 85th Academy Awards for Best Foreign Language Film. 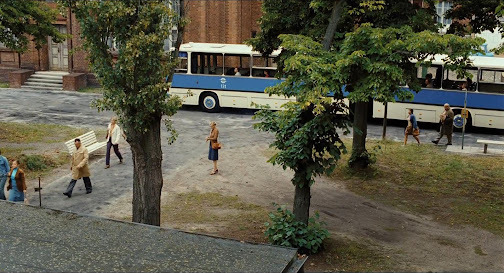 The setting is East Germany, 1980, but not anything like the grim and austere place that you'd expect to see. It's summertime, and it's bright and sunny in the quaint coastal town where the titular character, Doctor Barbara Wolff (Nina Hoss), is assigned. Relegated from her previous post in Berlin to the countryside, as a form of punishment for having the nerve to apply for a visa to leave for the West. It's told with a remarkably understated style. Petzold has constructed a quiet and immaculately layered screenplay full of under-the-surface details that he communicates through a gentle pace and a precision controlled direction. It's a wonderfully restrained approach, and a display of rare skill; seeing it for the first time makes me question why I haven't explored any of his work earlier. It has a carefully developed atmosphere of tension as well. While the location may be picturesque, it's still behind the Iron Curtain, and there's a palpable sense of paranoid nervousness on display right from the opening. This is heightened by the medium range distance in which he instructs regular DP Hans Fromm to place and maneuver his camera, close enough to see what's going on, but always intently detached from the action. Also contributing to this feeling is the minimalistic set design that seems to keep the characters in isolation from their surroundings. Even the forest is sparsely populated with trees. 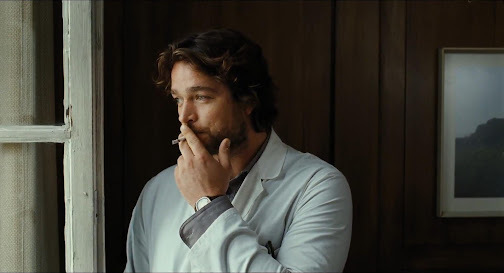 His is also the kind of film that doesn't spoon-feed a single drop of information, relying solely on tiny details and observations to gradually reveal its narrative. Even the time and place of the setting is never explicitly laid out for us. No sign of the all too easy text titles or expository voice-overs, only little things like a radio broadcast of the Moscow Olympics, or the cries of seagulls heard from a distance, are provided to fill us in on the particulars. So there's an appreciable level of mystery here that goes hand in hand with the almost but not quite suspense thriller like mood. The film though, as the title declares, is primarily the story of Barbara, who is onscreen for almost every scene, and the elegant study of her character is what makes this truly exceptional. 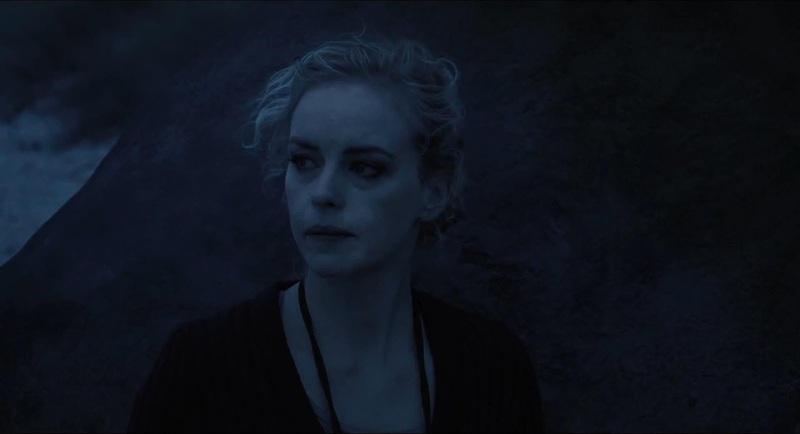 The insanely photogenic Nina Hoss, working here with Petzold for the fifth time, is simply mesmerizing in her portrayal of the doctor. She looks a bit out of place when she first arrives, stepping off a bus with her exquisitely done hair, makeup, fancy clothes, and tidy heels. Her frosty cool demeanor gives off a haughty impression too, but there's something in the way her mascara laden eyes uneasily glance about, something that tells us she might not actually be as well composed as the rest of her body language proclaims. Rightfully so, she is alone in a strange and claustrophobic place and the only one reaching out to her is also a Stasi informant. However, as time passes, she ever so cautiously lets her protective shield of ice thaw out, and Hoss makes every moment along the way eminently captivating to watch. It's also interesting to see how closely the direction matches the character arc. The more Barbara opens up, the more Petzold's camera seems to move in closer to her perspective, giving us a more intimate vantage point. It's a change in tone that happens so slowly it's barely even noticeable, and it takes us all the way from the opening frames where we are staring at her from a measured distance, to the brilliant closing shot of actually looking out through her eyes. This is probably too slow moving and subtle of a picture to get much love from Academy voters, it hasn't got the immediate appeal or power of Florian Henckel von Donnersmarck's similarly set 2007 Oscar winner The Lives of Others, but for those who love quietly intelligent, low-key character driven dramas, it is a masterful example that you don't want to miss. I don't think it had much new to offer we hadn't already seen in oscar-winning The Lives of Others, so that counts against it for me. Yet as you say, Petzold's film does have a mood of tension and distrust which is striking. I hadn't noticed the camera moved in the way you describe, good observation. The story made me curious again about 80s East Germany, so maybe it can be a starting point for those interested in looking into the history. 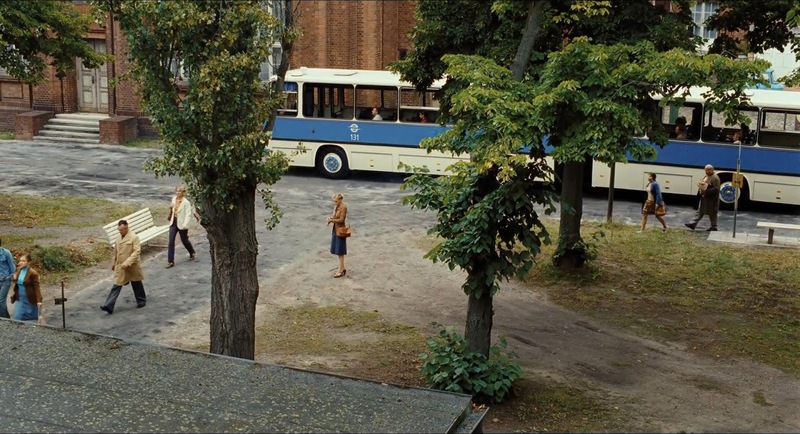 Even if the story takes place in 1980, there are only few signs that allow us to identify the period of time, as we see Doctor Barbara arrive at a hospital in a small village located in the former German Democratic Republic. The deployment of accurate details that indicate time and place allows us to connect with the main character, and help to understand what is kept hidden. 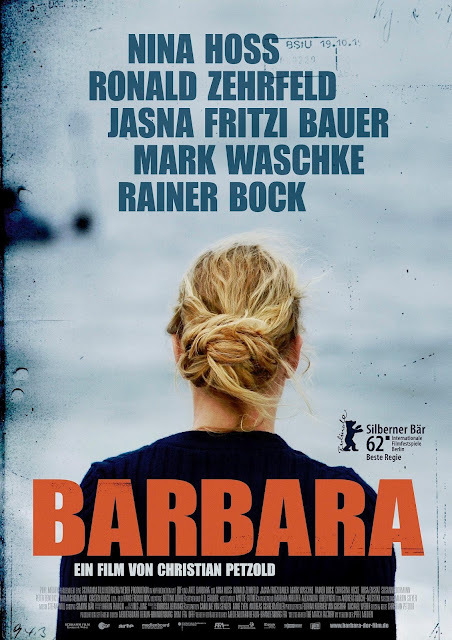 Among those silences and interests –accomplished by Nina Hoss with an astounding economy of gestures– Barbara’s solid concentration will begin to crack, as it often happens with the fragile yet passionate creatures shaped by Petzold. With an admirable use of the best classical narrative tradition, and recovering both the marks and themes that are typical in “doctor movies” from German cinema of the ‘50s and ‘60s, Petzold builds a story that constantly includes the spectator in the choice of changing its character, as if it were a variation of his former and remarkable Yella, also set in East Germany (taken from the catalog BAFICI 2012 ). I think you liked the film more than I did overall. For long stretches I thought the film was very, very deliberately paced (which, as my friend argues, is the polite way of saying I was bored) but the finale is SO damn satisfying that I forgive it. I'm right there with you on Nina Hoss though, both on how beautiful she is and how great her performance is here. I agree strongly about Nina Hoss. There is something very remarkable about her performance here. I literally can't get over her - she is so appealing. It's a very interesting performance. I have a feeling I'll be extremely pleased with this one.. I can't wait. I really hope they air it over here. I'd like to watch it on the screen. Of course it invites comparisons to that other film, but aside from being set in the same era, I don't think they are really that similar at all. This one is much more personal, and less traditionally manipulative. I am not familiar with those 'doctor movies' but I agree those small details are fantastic. Thanks for that Ricardo. Ah yeah, I guess I do have a greater tolerance for what most might call boring, but there were so many interesting tidbits here to catch. It's one I think I could watch many times to pick up on things I missed and to admire Hoss. Thanks Lisa! She is utterly magnetic. 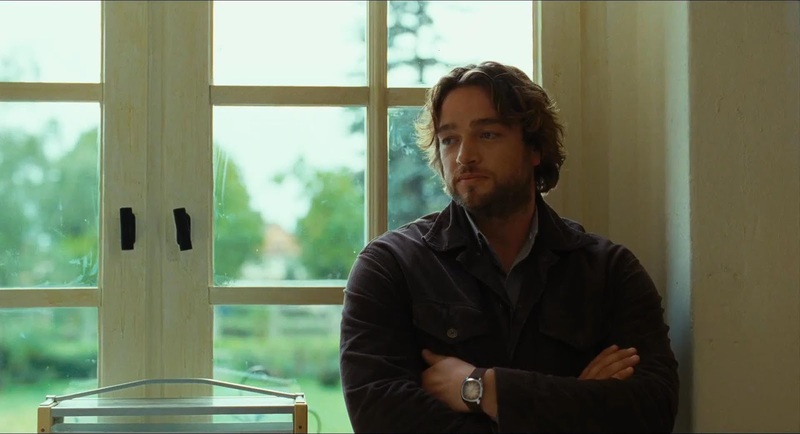 I'm already trying to track down the rest of Petzold's back catalogue to see how their work together has evolved. Yeah it does look fantastic. Of course the actress is beautiful, but also the sparse mise en scène, the random period details, and the careful placement of the camera make it incredible to watch. Yet another one that you've made sound incredible. Must spend money on tickets for this. I don't know how many of my movie review buzzwords you've hit there but surely nothing can live up to my expectations now. Yeah, this will easily end up in my top 5 of the year. It's not an ambitious film, but it is perfect at everything it aims for. I hope it doesn't let you down. Me too! Actually this reminds me to check for your review of Deep Blue Sea. I'm sure you would have seen it. No, I haven't managed to catch that one yet. It's on my shortlist of recent titles to watch out for though. The no results from my search was a surprise. Jon at Films Worth Watching turned me on to it and I loved it. Looking at imdb seems like most people didn't. I imagine your review will be worth reading. I hope you enjoy it. Superb film that fully justifies the praise you lavished upon it. I'd say after watching that there was a little too much plot. I knew you would dig it. Thanks for reporting back!